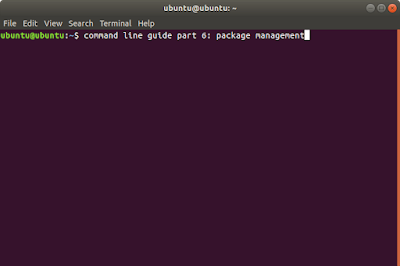 Software installation, or commonly called package management is a fundamental skill to learn in using Ubuntu GNU/Linux. Without it, a user cannot add new software to their system nor troubleshoot any problem. This part is a continuation of the Part 5: Manuals before, to enable you in installing, removing, updating apps in Ubuntu with a knowledge to change repository mirror. in Ubuntu, we handle these all with APT (Advanced Packaging Tool) command lines. 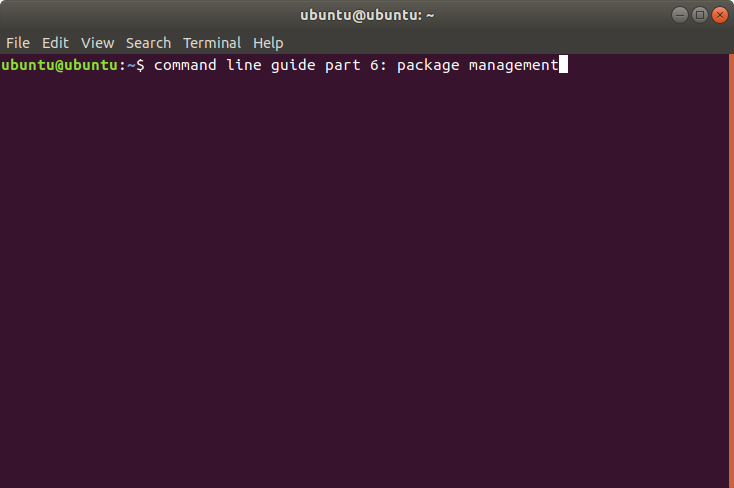 These all are the most basic in Ubuntu package management system. Happy learning! Identify your system first. It's important. Those example outputs say that the Ubuntu version is xenial. trusty is 14.04. xenial is 16.04. bionic is 18.04. See code name list here. These means xenial user must only use xenial repository, respectively. Do not mix different repositories in one system, like xenial with bionic, as it may break your system. This ensures your system can download packages from the repository. Searching for packages. For example, you want to find out decent image editor and web browser. Installing. This needs internet access. The name after 'install' is the package name you find from the search above. Seeing if newer version of a program is available. Green line means the newest version available. Yellow line, the ' *** ' one, means the installed version. You can upgrade from 59 to 61. Note: yes, the command here is indeed 'install' and not 'update' nor 'upgrade'. Uninstall individual program. This also called "remove". Upgrade the whole system. This often needs a lot of internet bandwidth and long time. Note: you should stays in front of your monitor as it may asks your permission to config/delete something during upgrading. Second, copy the file into your offline computer. Better put it in your $HOME directory. Refer to Tutorial Part 1 if you forget how. Download packages manually in the packages.ubuntu.com website. However, this trick is not always working. This may introduces you many unresolved dependencies. Resolving dependency conflicts. Sometimes, either it's because Command 8 above or unknown factor from the repository, you meet unresolved dependencies. This will force APT to download all dependencies needed and resolve conflicts automatically. Of course, this needs internet access as well. Second, change each URL from http://archive.ubuntu.com/ubuntu into http://ftp.tsukuba.wide.ad.jp/Linux/ubuntu/ and save. All done. Now you can install or upgrade from your local mirror. See worldwide mirror list in Launchpad. Some local mirrors may not have certain versions of Ubuntu repository.